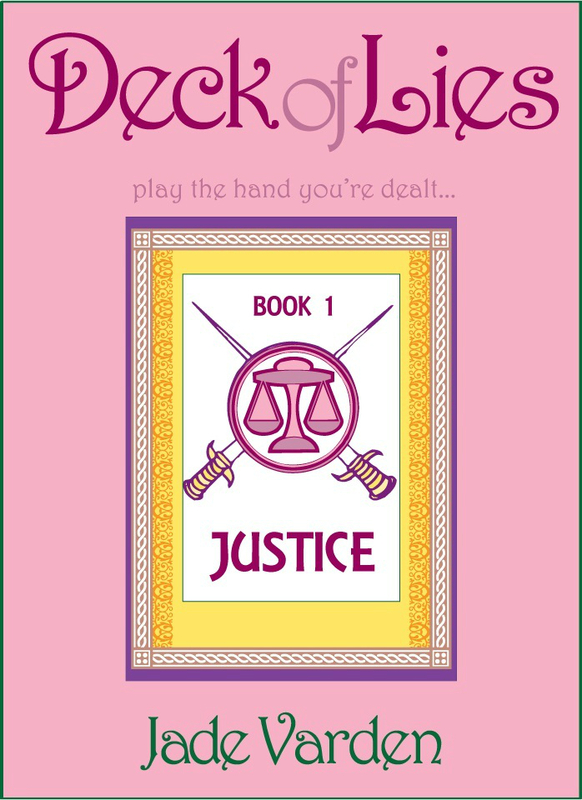 “Justice” is the first part in the Deck of Lies Series. I was intrigued by the title, having a little thing for tarot and mystic themes. The story seems initially to be just another stereotypical college drama of ‘new-girl-joins-school’ – although very well written and drawing the reader in. However, throughout the protagonists’ first day of bullying and personal politics the story takes new directions. I was keen to find out how the story develops from the beginning – such is the quality of the writing – but soon the reading became compulsive. It is hard to say anymore without spoiling the experience, so I will only give away that the plot thickens quickly and the protagonists faces several dilemmas that challenge her sense of belonging, loyalty and class. The book is very short but given the amount of plot that the author managed to fit in I am not surprised the decision has been made to publish four separate books rather than one massive one. Following the first book in the series The Tower has more surprises in store than I would have guessed possible. Excellently written and compelling. Only spoilt for me personally by a huge cliffhanger at the end of the book that left me disappointed. But J.K.Rowling does that too and few people mind. Death is the third in the Deck of Lies series and after I reviewed the first two I had to continue to find out what happens next. The storyline moves so fast and there are so many new turns and twists that I sometimes felt in a soap opera but somehow it never felt as cheap and easy as that word would suggest. Far from it. Since the first book the main character struggles with finding out her real identity and with a murder case that involves her family and friends, several possible love interests and the confusion that arouses whenever a new piece of information turn the tables and casts a new light on her situation. It is a rollercoaster of a read and I would have thought that I would have lost interest in the continuous changes and turns but the author keeps the pace just perfectly from overload. I had to remind myself that this is a piece of fiction as some parts of the plot were a little far-fetched this time in my opinion but it was great fun to read and very entertaining. It would be very difficult to fault Jade and her writing and I have no doubt she will do well with this and future series. Judgement is the fourth instalment which rounds everything up in a professionally done court room drama which is professionally written, cleverly thought through and skilfully executed.. Unpredictable as its predecessors it moves fast with new turns and twists. I discovered my first V.C. Andrews book. By the end of the first chapter, I knew I wanted to tell stories, too, one day. What made you think about writing a mystery? I love mysteries! I always enjoy trying to solve them when I’m reading books. Of course, I never do. Why did you choose the tarot card theme? I like the symbolism of the cards, how each one has a very specific meaning. I got the idea of making it one of Rhianna Ramey’s hobbies, and it just fell into place from there. Justice went quickly. I got it written in about 4 months and edited for another month. Who would you see as your audience? I get the most mail from girls, teens and twenty-somethings. I write at night, when I’m done with everything else. I like the freedom of that, of not having anything else on my schedule. I watch crime shows in the dark and type. Seriously, that’s what I do. Too many to count! I went back to the first scenes many times, and every single scene between Rain and River was written at least three different times. I edit them myself, but I do have a trusted beta reader who’s completely opposite of my main audience. If I can sell him on a book, I know I’m doing okay. I love Mary Higgins Clark and Maeve Binchy when it comes to character development and plot. I also read a lot of James Patterson, because he’s wonderful at writing about killers and crime and crime-solving. But lately I’m mostly reading indie authors. A fellow named M.D. Grayson wrote a book that I absolutely love, an action-mystery. I really like Nicolas Hoult for River, and I think Jeremy Sumpter would be perfect as Tom. As far as directors go, anybody but J.J. Abrams. I’m afraid that’s a dealbreaker.